Wish you a Very Happy New Year 2017! 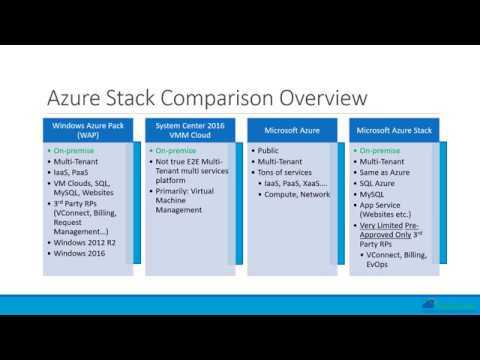 The VConnect platform for Windows Azure Pack delivered many new cloud integrations and innovative features for Service Providers and Enterprises in the year 2016. Some of the innovations delivered include: Role Based Access Control (RBAC), IT Process Automation with Operations Templates, IT Support Automation with Wizard driven Custom Commands, System Center, VMware vCenter, AWS, Azure Platform support, Inline Backup as a Service with Veaam and fine grained control for Administrators with various extensibility points and available customizations. VConnect can now be licensed in Yearly Subscription based licensing model, apart from the Perpetual license model. A Subscription-based licensing model enables SMB Enterprises and start up Hosting Service Providers to align the licensing costs as part of their annual budgets. Hot Add: Increase CPU core size and/or RAM memory without having to shut down the VM! Performance improvements: e.g., Disconnecting the Session in the PowerShell scripts: this addresses a potential memory leak issue wherein several idle sessions were not getting cleared in the VConnect API Service machine. Enable SMBs and HSPs to budget the licensing costs as an ongoing operational expense rather than a capital expense. The Usage and Billing solution for Windows Azure Pack based Cloud Cost Charge Back and Show Back delivered many practical features for Service Providers and Enterprises in the year 2016. Notable features include: Customer sign-up and approval workflow, Payment Gateway integration, custom branded web Market Place with unlimited options to deliver unique Offers, reliable Agent services, near real-time metrics aggregation, costing and reporting, Invoice improvements, various Alert Rules and automation options. Usage and Billing can now be licensed in Yearly and Monthly Subscription based licensing models, apart from the Perpetual license model. Subscription licensing models enable SMB Enterprises and start up Hosting Service Providers to budget the licensing costs as an ongoing operational expense rather than a capital expense. Quick Start tab improvements enable ease of first-time configuration of the administration settings. Metered Pricing Wizard: Unit Multiplier and Custom Formula evaluation improvements; Sample Calculator improvements. Extend core feature set by executing custom PowerShell scripts to automate business processes upon Subscription creation, deletion, etc. 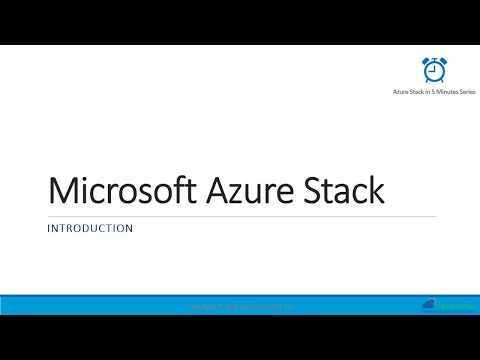 This first in the series of 'Azure Stack in 5 Minutes', covers some of the basics and gives a quick introduction to the Microsoft Azure Stack platform. Why is Azure Stack compelling?